Average temperatures in Tequesta, FL can be sweltering throughout the year, making daily living downright uncomfortable if your don’t have proper AC. As a homeowner in the Tequesta area, your AC unit is your saving grace. Having a durable and reliable air conditioner can keep you and your family comfortable and cool on even the hottest days of the year. Serving South Florida since 1985, East Coast Mechanical provides a wide range of expert AC services. Dependable service — Prompt service call arrivals and technicians who are ready to work! AC systems are not 100% infallible. Problems arise and we understand that the residents of Tequesta, FL want to know they can rely on a dependable AC company in the area. 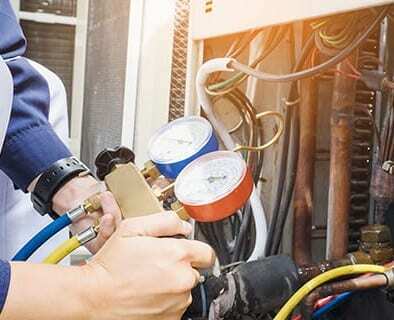 With more than 30 years of experience in AC repair and a fleet of over 120 AC repair service trucks on the road, East Coast Mechanical is the company you can count on when your AC system needs repair. We offer 24/7 emergency service to make sure you don’t have to sweat through a hot summer night with a broken AC unit. When you call with an AC emergency, expect us to be at your door within the hour! East Coast Mechanical also offers South Florida’s most professional AC installation and replacement services if you’re looking for a new, more reliable air conditioner. East Coast Mechanical delivers full AC maintenance whenever you need it. Our amazing technicians will keep your AC unit running efficiently and smoothly all year-round. Call us any time to have a technician come out to your home and deliver our full 21-Point Comprehensive AC Tune-Up. No matter what cooling service you’re in need of, allow East Coast Mechanical to assist you. We pride ourselves on hard work, dependability, follow-through, and clear communication. Contact us today!